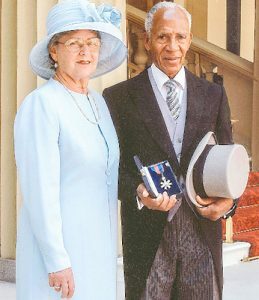 JUST A WEEK shy of his 90th birthday, Vincentian surgeon, Dr Arthur Cecil Cyrus has been awarded the Knight Commander of the Most Distinguished Order of Saint Michael and Saint George (KCMG) in the Queen’s New Year Honours List for 2019. Cyrus, who is considered this country’s most distinguished physician and surgeon, received the award for services to medicine and to health services. And he said that it is a proud day for his family. DR. CYRUS was accompanied to the Palace by his wife Kathryn. Cyrus, who was born in Layou, learnt as a boy that the visiting district doctor tended, ”only those with a shilling”. It was this social inequality that inspired him to become a doctor. In 1950 he entered Queen’s University in Ireland and gained the Fellowship of the Royal College of Surgeons (FRCS) of England and Edinburgh. He specialized in other areas of medicine before returning home in 1963, where he was appointed Consultant Surgeon to the Colonial Hospital. Cyrus is this country’s first trained surgeon. He also obtained diplomas in ophthalmology and obstetrics and opened the private Botanic Hospital in 1976. Since his retirement several years ago, he has kept active, delivering public lectures and publishing medical papers and books. 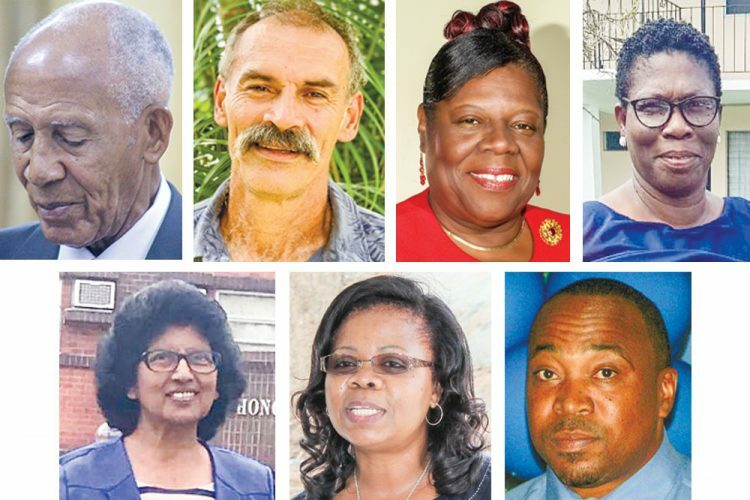 The names of the Vincentians on the Queen’s New Year Honours List for 2019 were published in the December 28 edition of the London Gazette. The other Vincentians named are Girlyn Miguel, Corsel Robertson, Derry Williams, Robert Balcombe, Molly Aleina Baptiste and Sherron Morgan-Peters. Miguel, a former parliamentarian and minister of Government has been awarded a Companion of the Most Distinguished Order of Saint Michael and Saint George (CMG)for services to politics, education, community and to women’s empowerment. Robertson, the Director of Airports and Williams, the Managing Director of the Bank of St Vincent and the Grenadines have been named Ordinary Officers of the Civil Division of the Most Excellent Order of the British Empire (OBE) for services to civil aviation and the financial sector respectively. Robertson, who is also the deputy chairman of the board of directors of the Argyle International Airport, told SEARCHLIGHT that she feels “very honoured to receive an award, especially in this area of industry. Aviation is predominantly male dominated and being female, it has a special meaning for me”. She also said that she feels like she can inspire women to get involved in the industry and that she will “continue to work and do the best I can in the interest of the development and modernization of aviation here and in the region”. Williams said that he was humbled and thankful to the Prime Minister for recognizing the contribution that he and the others awardees have made throughout their careers. “I find it very humbling, at the same time, I’m grateful for…the appreciation of the hard work and sacrifice that you would make over many years,” he said. The award of Ordinary Members of the Civil Division of the Most Excellent Order of the British Empire (MBE) has been conferred on Balcombe for services to agriculture; Baptiste for industry and commerce; and Morgan-Peters for services to education and community work. Balcombe is a farmer and has worked in the agricultural sector for over 30 years. He said that he was speechless but grateful for the award. “[It’s] kind of overwhelming. I didn’t expect it, but really and truly I always seem to think that it has a lot to do with those around me. I have to say thanks to my wife because she was the main one who hold up with me,” Balcombe said. Baptiste is the director of Summa Wear Garments, a company she started with her late husband, Ormond Baptiste 42 years ago. The business, based at Calder, is engaged primarily in the manufacture of school uniforms for the local and regional markets. She describes receiving the award as “a blessing from God”. “He has blessed us throughout the many years of working in the industry. So, I give God the thanks and praise. I will also like to thank the Government of St Vincent and the Grenadines for nominating me to receive the award,” Baptiste said. When contacted by SEARCHLIGHT, Morgan- Peters, who recently retired from the public service as headteacher of the Fair Hall Government School said that she was “happy and excited”. “It’s not something that I was expecting. I’m happy to know that there are persons out there who would have seen my commitment to education and to community service and figured that I was deserving of an award,” she said.